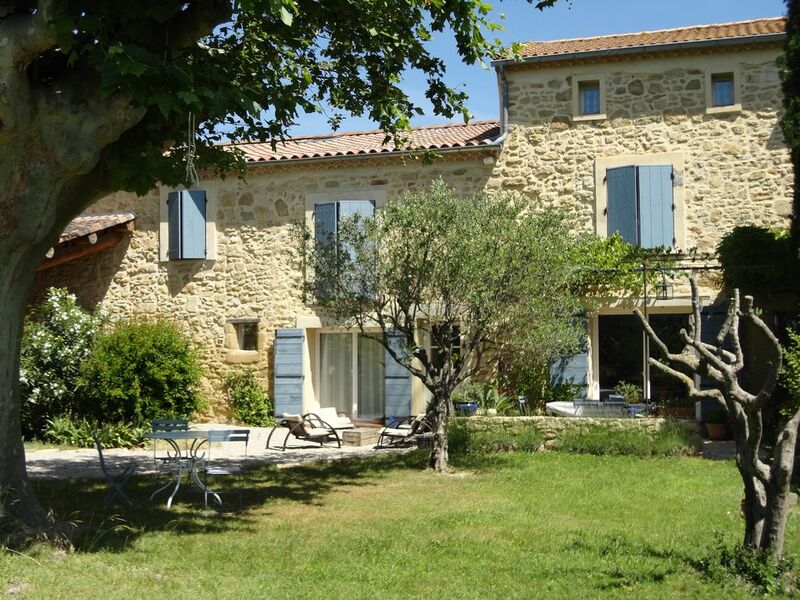 (Text automatically translated) In the heart of Provence, character house is situated at the foot of Montmirail (website climbing and hiking) and in front of the Mont Ventoux (the Mecca of cycling). The house dated XVIéme century and was the home of Madeleine Bejard, actress and wife of Molière! Completely renovated, it will welcome you in the shadow of its oaks, you can entertain the many festivals of international renown Vaucluse (Avignon, Carpentras, Vaison Orange Pernes the fountains) and visit beautiful medieval villages. The pool is a haven of freshness and relaxation area, it is closed. un accueil sympathique, un cadre fantastique dans un mas très spacieux et confortable. Les propriétaires sont charmants et serviables. L'environnement exceptionnellement calme nous a ravi. Les multiples possibilités des environs (théâtre, rando, activité sportive) ont comblé notre séjour. je recommande cette location. "Das Haus war wirklich so wie es beschrieben wurde, und vor allem so wie man sich ein Haus in der Provence vorstellt. Durch die Ortsrandlage war es absolut ruhig und erholsam. Die Kinder konnten wunderbar im Garten (Baumhaus!! !, Schaukel etc.) rumtoben. Von Sarrians aus kommt man schnell zu vielen Sehenswürdigkeiten der Region (Avignon, Mt.Ventoux, Ch. Neuf du Pape, Orange.....)." (Text automatically translated) At the exit of the highway Carpentras, take direction and follow the signs Sarrians Tourreau North (2 houses before Tourreau castle).